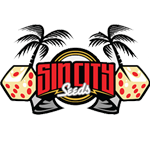 Sin City Seeds is a dedicated group of skilled medical marijuana breeders who strive to produce one-of-a-kind, high-yielding DANK genetics and spread them to the masses. Keeping a compassionate outlook for patients and caregivers is always our number one priority. Our strain releases are FULLY TESTED, and nothing less than 100% LOVE and DEDICATION goes into every pack of our seeds – so you can be sure of a successful harvest. We practice TRUE BREEDING techniques, with meticulous male selection and testing, for optimal results to bring you the best product possible. While Feminized seeds may be the trend right now, here at SinCitySeeds, we feel that the most effective way to truly express the best qualities in both parents is to use natural breeding techniques. This ensures the most stable results in all of our breeding projects. Please take a look at our world-class strains and see the DANKNESS for yourself!